The economic growth of West Papua province has increased from year to year. It averages 9.6 percent or above the national economic growth average of 5.9 percent. The West Papua Provincial Government has also been quite successful in reducing the number of poor people to 27.13 percent, but still well above the national poor population percentage of 11.25 percent. In the 2010-2014 period of the RPJMN, the territory of Papua consists of 2 provinces with a total of 42 regencies / cities, of which 83.3 percent or 35 regencies fall into the category of disadvantaged areas. The Human Development Index (HDI) in this region is 60.33, below the HDI national average target in underdeveloped regions in the 2010-2014 RPJMN of 72.2. 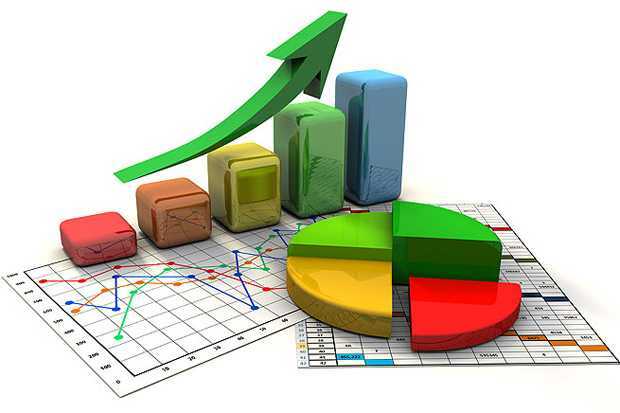 The economic growth of 9.07 percent exceeded the 2010- 2014 RPJMN projection of 7.1 percent. The poverty rate in the underdeveloped regions of Papua is still 32.98 percent, far from the national poverty rate target in the underdeveloped regions of 14.2 percent in the 2010-2014 RPJMN. The 2010-2014 period of the RPJMN has set 35 undeveloped regencies in the region of Papua as focus of an accelerated development agenda for underdeveloped regions. By the end of 2014, it was indicated that there will be 2 underdeveloped regencies that can be alleviated. So in the 2015-2019 period of the RPJMN, the number of disadvantaged areas in the region of Papua is as many as 33 districts. At the end of the 2015- 2019 RPJMN period, 9 regencies are targeted for improvement. In terms of the achievement of the open unemployment rate (TPT), the West Papua Provincial Government has also succeeded in reducing TPT to 3.70 percent and already under the national TPT of 5.70 percent. While in terms of human resources quality, the West Papua Provincial Government still has to work hard to make improvements. This is indicated by the value of Human Development Index (HDI) in West Papua province, which is only 70.62 or still below the average national HDI of 73.81. However, from year to year, the value of HDI in the province of West Papua continues to increase. Efforts to improve the quality of human resources to support the development of economic zones in West Papua province are carried out with the following strategies: 1) Developing management institutions of areas to support their competitive management 2) Strengthening the capacity of LGs in drafting customary land use regulations with indigenous peoples to facilitate investment. ) Preparing qualified workers with superb competence in the field of petrochemical industry and management of mineral mining, agriculture, in Arar area, Bomberai breeding area, Kebar and Salawati; 4) Developing a high-tech Science Park as a means of improving the quality of regional human resources; 5) Training and mentoring human resources to improve competence to manage productivity and value-added of commodities in the respective areas of economic development; 6) Capacity building of Native Papuans (OAP) to gain access to economic resources; 7) Assistance in the production process and management of community enterprises; 8) Developing a Technology Park in the field of food and maritime to improve technological innovation; 9) Institutional restructuring in the management of economic development areas. In terms of income distribution among community groups, from year to year, the income gap between groups (Gini Ratio) in the province of West Papua increased to 0.431 or still above the average national Gini Ratio of 0.413. In the future, this needs to get attention so that the development process can be more inclusive of the community, therefore the results of development can be enjoyed equally by the community. The development of strategic areas of economy in the Papua region is focused on the development of primary commodity-based industries / downstream. Accelerating the development of strategic areas in the Papua region is carried out through the following strategies: 1. Increase in the Regional Economic Potential of Papua Region’s natural resources, besides mining and minerals sector, is also huge in the agriculture and plantation sectors. This potential can be developed into a prospective sector with reliable economic power to improve the welfare of local communities. Thus, mapping of areas will done and used as industrial basis by considering the potential of natural resources that will become the primary commodities of the region both in Papua Province and West Papua Province. Development of economic activities in strategic areas in West Papua Province is carried out with the following strategies: a) Developing petrochemical industry areas; b) Developing oil and gas based and fertilizer industries in Bintuni Bay; c) Increasing export productivity for oil-gas products, processing of mineral mining, agriculture / plantation, and marine products; d) Developing agricultural areas in Karas and Arguni Bay; e) Developing ranch cattle breeding centers in Bomberai, Kebar and Salawati; f) Developing nutmeg at Fakfak; g) Developing sago and investment in the sago commodity industry in Sorong Selatan; h) Developing integrated marine tourism area in Raja Ampat and Mansinam religious tourism area; i) Developing small and medium economic activity centers to support the potential of the tourism sector, especially creative industry and typical processed foods of the Sorong, Manokwari and Fak-fak regions; and j) Supervising the quality of products of small and medium enterprises in Sorong, Manokwari and Fak-fak. In West Papua Province, a special economic zone will be developed focused on the petrochemical industry, the development of the mineral processing industry and the Bintuni Bay industrial estate.